I'm starting out a new category today, featuring staple products — the kind that will be in a part of my life at all times. BPFs? 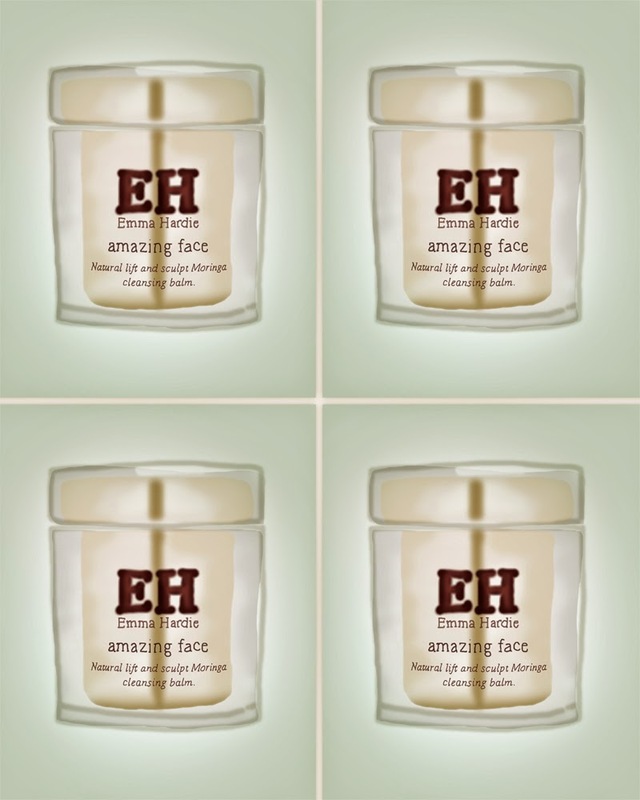 On this very first post on the matter, I'll talk about how much I adore the Emma Hardie Amazing Face Natural Lift and Sculpt Moringa Cleansing Balm — that's a long name, if I ever saw one. I'm sure you must've heard about it somewhere in the blogosphere. It's that amazing cleansing balm that smells oh-so-good and doesn't dry out the skin. 1. Make sure you have clean hands to start with. 2. Scoop out a little amount from the tub and warm it up between your hands, until it turns into an oil. 3. Apply it gently on your face, starting with the eye area. Warning: You'll get panda eyes! Hah! 4. After massaging it using circular motions, on your face and neck, remove the product with a face cloth — soak it in warm water and squeeze. I use these. If you're wearing a lot of make-up or a sunscreen, cleanse twice. Pat dry your face and follow with a toner, before moisturizing. Ta-da! You did it! That wasn't hard, was it? If this is your first time, please take a moment to admire the difference in your skin. You can throw away those wipes now. To quote Sadie Saxton, "you're welcome". I've noticed that the effect of the product on the skin, combined with the scent, provide a very calming result. You'll find that the skin remains completely clean and nourished, without losing it's elasticity. This cleansing balm can be doubled up as a rescue balm, for dry areas like elbows or lips, but also as a calming face mask, ideal when your skin is feeling more tight. Just leave it on for ten minutes before removing. And by the way, this will remove E-V-E-R-Y bit of make-up. Trust me, I like to experiment a lot. The formula contains Moringa seed extract (of course), Wild Sea Fennel and Vitamin E to balance, purify and help to minimise the appearance of open pores; Orange, Neroli and Mandarin extracts to rejuvenate and revitalise the skin; and Jasmine, Cedarwood and Rose to recondition dull, dry, dehydrated and mature skins. I think I'm becoming a fan of Moringa, it's the main ingredient in another "chosen one", that will be popping up soon. Stay tuned!